In 2006, Madelyn undertook training with Barbizon School of Talent in Dallas to perfect her showmanship and presentation. She was then selected by DMG Management of Dallas to attend the Modeling Association of America International Competition and Convention in New York in 2007 held at the Waldorf Astoria where she dazzled the judges with her rendition of “Real Fine Place to Start” by Sara Evans. Madelyn out-sang all other competitors to win the vocal competition. Other categories she competed in included Soap Opera, TV Commercial, and Photo Posing receiving 2nd Runner Up and honorable mentions, respectively. To gain additional exposure that same year, Madelyn Victoria auditioned to perform with the Radio Disney Superstars of Dallas, was selected, and had the opportunity to be a part of the opening act for pop boy band sensation The Jonas Brothers. Soon after, Madelyn was trained to become an acting and vocal performance coach for Barbizon, showcases for iPOP, and for Studio 92 in Dallas, TX. Currently, Madelyn Victoria and her own band perform at local venues, honkytonks, bars, and events in south Texas. Names in Country music, including Nashville and Texas recording artists, that she has opened up for and shared the stage with have been Easton Corbin, Turnpike Troubadours, Tracy Lawrence, Kevin Fowler, Clay Walker, Josh Thompson, Dustin Lynch, Zac Brown Band, The Charlie Daniels Band, and more. Madelyn also sings the National Anthem at United League games, and at local high school sporting events, political rallies, patriotic ceremonies, rodeos, and stock shows, including the 2009 Los Fresnos PRCA Rodeo in Los Fresnos, Texas where Madelyn Victoria was crowned the inaugural Rodeo Queen. This was one of many crowns she has earned including Cameron County Cowgirl, being her high school’s homecoming queen, Miss Texas Homecoming Queen, and 2nd Runner Up for Americas Homecoming Queen. In December of 2012, Madelyn performed in Las Vegas (Planet Hollywood and at the NFR Rodeo) as the Shania Twain Sing-Off Contest Winner. 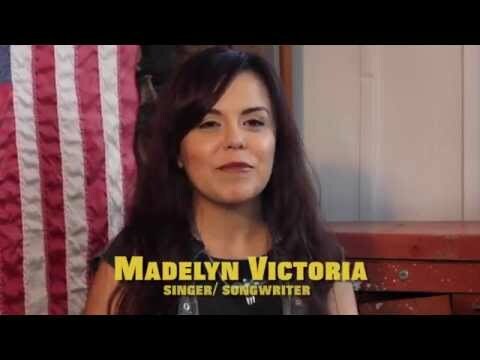 Madelyn Victoria plays the guitar, writes the lyrics & melody to all her songs, and collaborates with her brother and other musicians to write the accompanying music. Madelyn not only has a passion for singing and songwriting, but for helping others and donating her time to the community. She volunteers at local Motor Training events for special needs children, sings to the children at hospitals and rehab centers and started her own annual event called “Octave Higher Christmas”. Her hopes are that one day, it will become a large non-profit organization and that it can reach out to children throughout the US and all over the world. 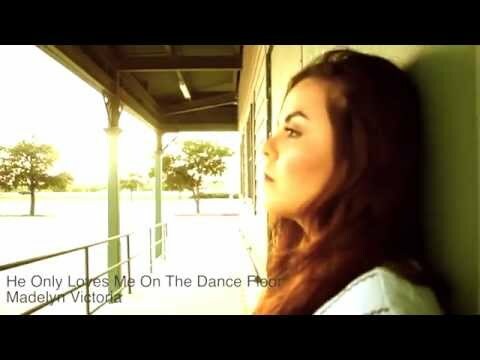 Madelyn Victoria’s music can be purchased on iTunes and can be heard on YouTube.